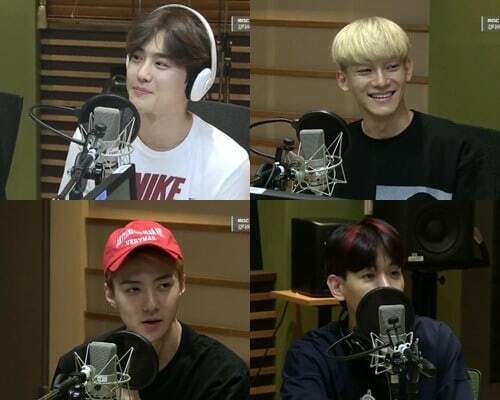 EXO—sans Lay—recently made an appearance on the July 19 broadcast of “Kangta’s Starry Night,” where they couldn’t stop laughing as they shared details about themselves and their new album with fans. 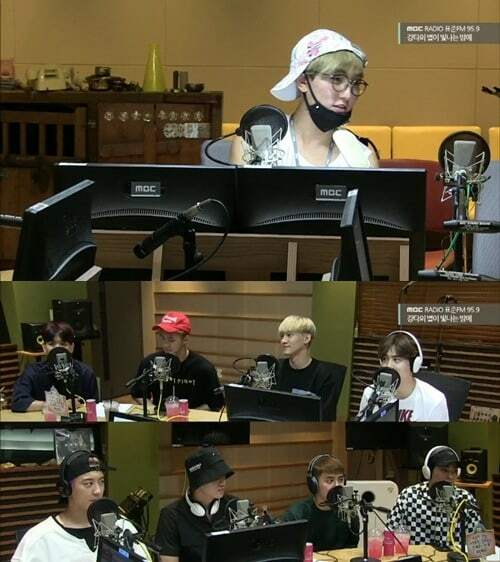 After DJ Kangta questioned the members on how they were doing, and expressed his happiness at being able to see his juniors often, the group then proceeded to answer a series of “yes or no” questions in 60 seconds. 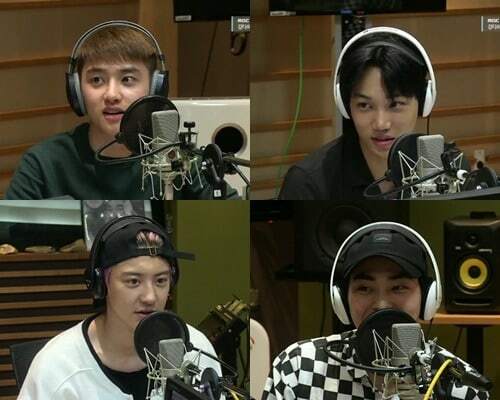 When it was his turn, Kai answered that he doesn’t contact his parents every day. He later explained that he talks to them often, but since the question specified “every day,” he couldn’t truthfully answer “yes” to that question because there are times when he is just too busy. In an unexpected term of events, Kai then ended up sending a message on air to his parents. “I do contact [both of you] often, but it seems that I don’t at least once a day. Somewhere along the line, it’s become more common for me to check in briefly instead of talking longer about everyday things. I’m sorry for that, and I love you both. Our album has been released, and I’ll work hard during promotions. I hope that our members’ families will be happy while listening to our album, and I hope you all will be able to be proud of your sons,” Kai expressed. As soon as he ended, Baekhyun joked that Chanyeol looked like he was crying. Not missing a beat, Kangta hilariously asked Chanyeol to also send a message to his parents. Some of the other highlights from the game included how the members joked that Sehun has probably disabled the camera app from his phone, and poked fun at how Suho takes the most selfies out of all of them. The EXO members also became Chen’s ultimate hypemasters during this portion, when he mistakingly answered that he thinks he ranked in the top three of best idol vocalists. 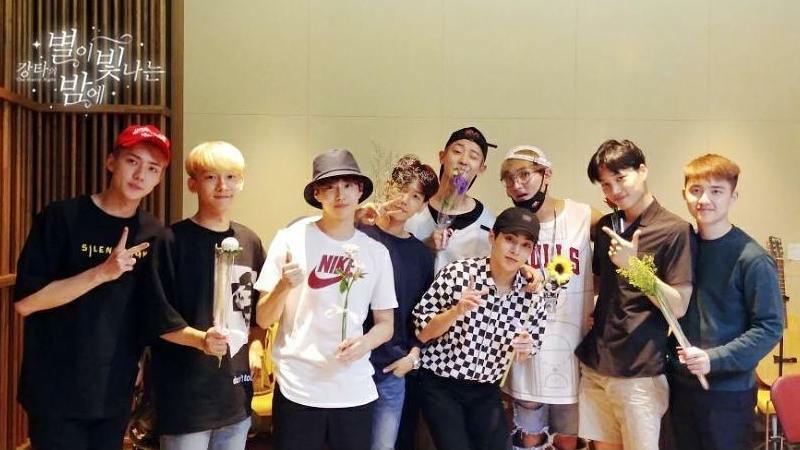 Chen explained that he thought the question asked if he was one of the top three best EXO vocalists, but the other members insisted, “No, you would be number one out of all the idol main vocalists.” Chen humbly replied that it is a hope of his that he would be regarded as one of the best one day.